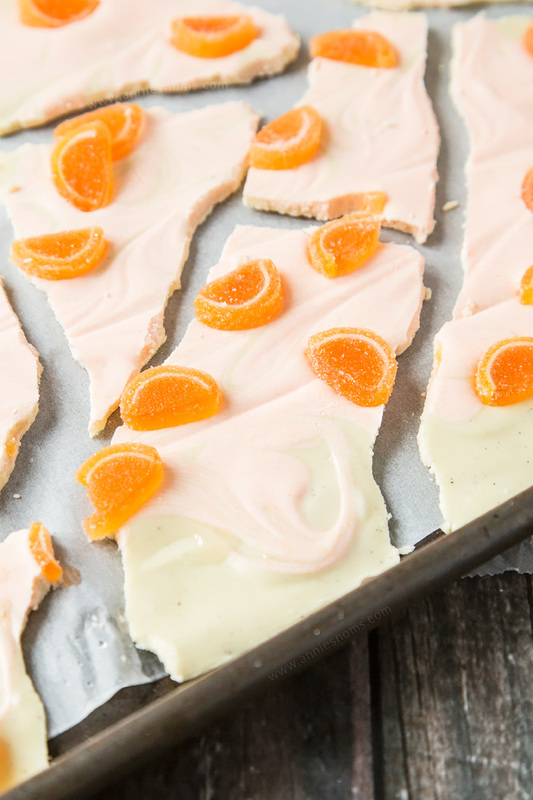 This Orange Creamsicle Bark is kid friendly and super fun to make! 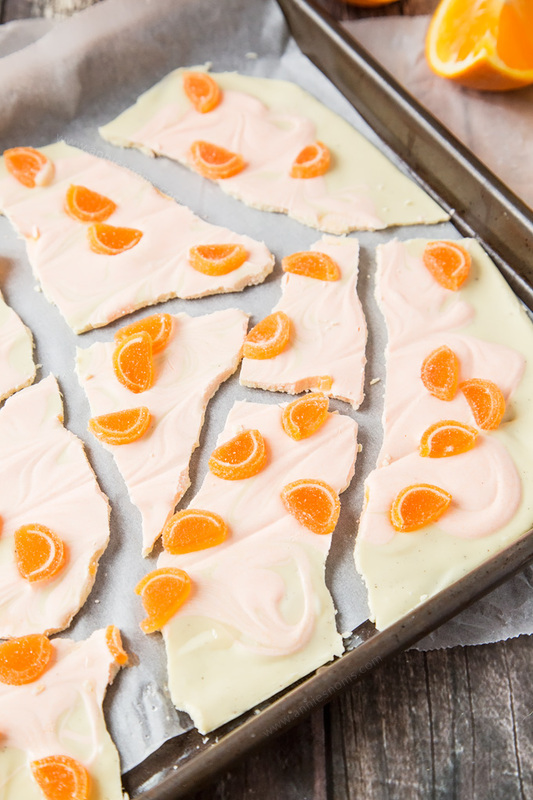 Creamy, chocolatey and full of orange flavour; this is one seriously delicious bark recipe! Hiiiiiiii! How are you this fine Tuesday? 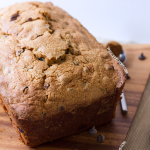 I have a fun, kid friendly recipe for you today! 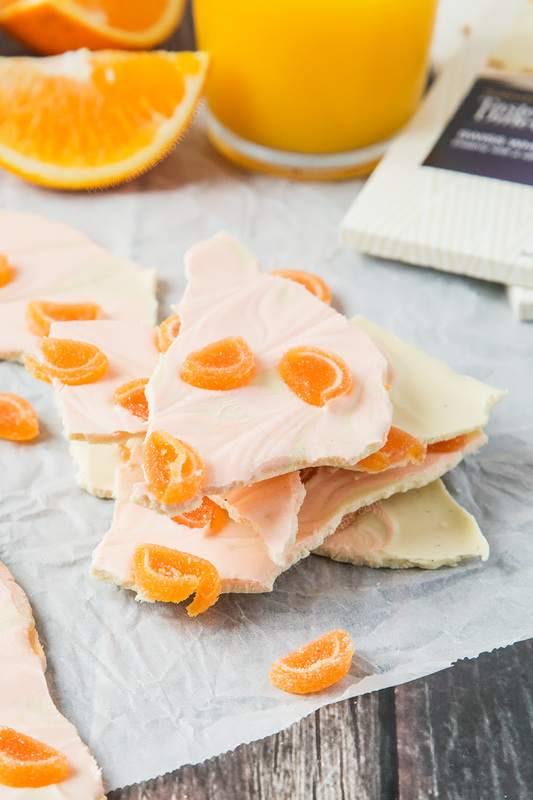 This Orange Creamsicle Bark! Before that; how are we half way through June already? It’s Father’s Day this weekend and I still have no clue what to get my Dad. The men in my life are almost impossible to buy for. Mr AN… Never wants anything, then he’ll mention something at some other time in the year and I’ll remember so I can get it for him. Then he tells me he doesn’t need/want it whilst giving me sad, pleading eyes that say actually he really does. It’s really quite hilarious. We had it just the other day with the new Lego Porsche GT3 that is coming out/is out, but out of stock. He mentioned that it was coming out and was like “Wow, so cool!! !” So I planned to order it the day it came out. (It was out of stock by 8am, but I’ve ordered it for dispatch in 2 weeks!). He happened to be next to me the day I ordered it and he was like “Nooooooo. I don’t need it. Don’t spend your money on me”. The look he was giving me said something else entirely and then he couldn’t help giggling because he knew I could read him like a book. I clicked order before he could say anything else, so at least his birthday is sorted this year! Anyway bark. This bark almost didn’t happen! I managed to cease 10oz of chocolate and then had to rummage through my cupboards to find another 10oz. Now I’m pretty much all out. I did have about 8 bars…. That’s a wholllllle heap of chocolate! Mind you, if this creamy vanilla and orange bark is the result, I don’t mind using all my best chocolate. This bark is phenomenal! 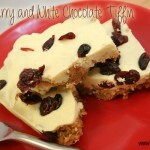 It’s smooth, citrusy, creamy, melty and so easy/fun to make! 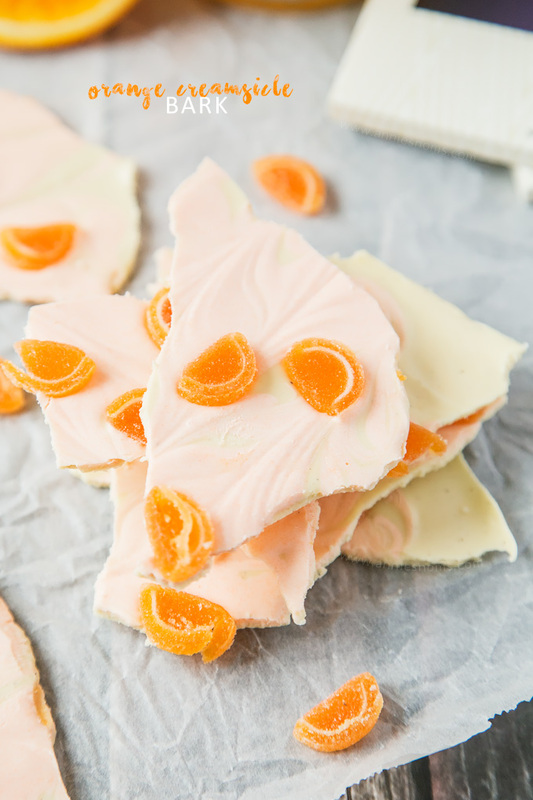 I planned on using orange Wilton candy melts for the orange swirl, but everywhere I went, they were out of stock of the orange ones, so I had to buy white and then colour the mixture myself. I used a Wilton gel colour to make it pale orange and then added some orange extract. This bark is honestly so easy to make! You just have to melt 10oz of white chocolate with a little vanilla added, then pour it onto a lined baking tray before spreading it out with a small angled spatula. The next step is to spoon over the orange mixture and then use a toothpick/skewer to swirl the orange into the white. Drop on some orange jelly sweets and then leave it to set. I’m so in love with this combination. I took inspiration from Orange Creamsicle Popsicles and it turned out great! 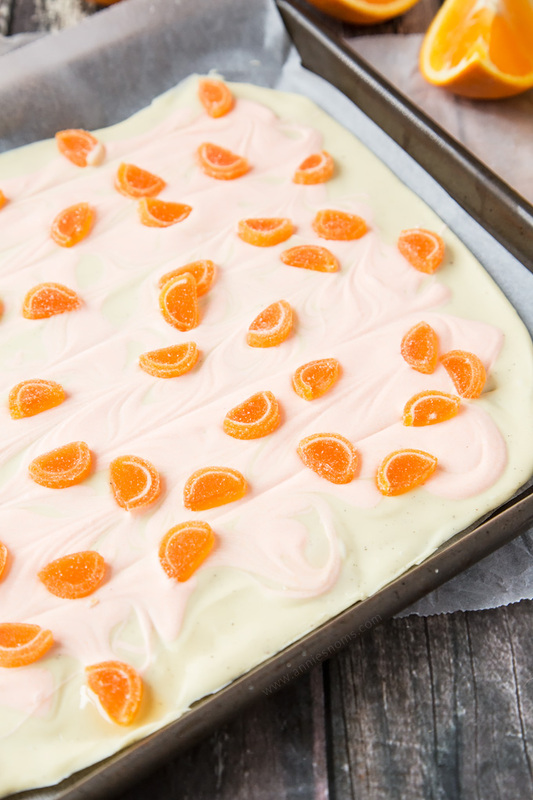 Creamy, sweet and with the perfect amount of orange flavour; this is a great Summer recipe to make if you don’t want to turn the oven on! 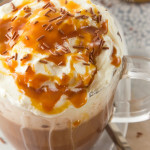 Place 10oz white chocolate and vanilla extract into a large heat proof bowl and microwave on 20 second increments, stirring in between each, until all the chocolate is melted and smooth. Alternatively, you can place the bowl of chocolate over a medium pan of simmering water and stir until melted. Pour the melted chocolate onto your lined baking tray and then use a small angled spatula to spread the chocolate out into a thin, even layer. I always leave a border of grease proof around the edge so I can pick the bark up easily, but you can make it as big or small as you want! My bark was around 1/8 inch thick. Place the candy melts or white chocolate (see note) and orange extract into a small heat proof bowl and microwave in 20 second increments, stirring in between each one until melted. If using white chocolate, add in the gel colour at this stage and stir until desired shade of orange. Spoon the orange mixture over the white chocolate and then use a skewer to swirl the orange into the white making sure you don't completely mix them together and can see both the white and orange. Sprinkle the jelly sweets evenly over the melted chocolate and leave to cool for 30 minutes. Then place in the fridge until set, around 90 minutes. Break bark into pieces and enjoy! 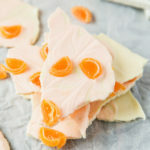 Orange Creamsicle Bark will keep in an airtight container, in the fridge for a week, or at room temperature for 4 days. *Every shop I went to was out of stock of orange candy melts, so I used white chocolate and then added some Wilton gel colour to dye it orange. Aww, I know your problem of never knowing what to buy him… Actually my boyfriend usually beats me to it, every time I have a great idea he’ll say something like “I was thinking of buying myself…. *include my present here*” Gaaah! Anyways, this bark looks delicious. 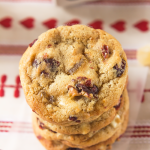 White chocolate is aaaallllways good, right? OMG, this looks amazing. I craved orange creamsicle ANYTHING while pregnant with my first son. Now, every time I see it or eat it, I’m reminded of that sweet time (of before I had kids, lol). This looks really good. LOVE this idea. This Fathers Day I think all I want is this bark!! Looks amazing! The bark looks delicious!! I know how hard it is to pick out gifts — my youngest son’s birthday is coming up and I have not clue 🙁 I sent out an SOS to his wife — hopefully she’ll have an idea. In the meantime, my grandsons would go nuts over the bark. Thank you for sharing. I LOVE this bark! Looks so citrusy and delicious! I’ve been on a bark kick lately — this one looks so perfect for summer bbqs and parties! Thanks for sharing 🙂 Can’t wait to try — pinning for later! Your Orange Creamsicle Bark will be a very special treat for us. Hope you have a very special Fathers Day Weekend and thanks so much for sharing with Full Plate Thursday.